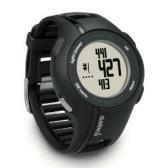 Best GPS Watch Reviews – 29% Off + Free Delivery Now! The Garmin Approach S1 Waterproof GPS Watch is ready to use straight from the box. You do not need to subscribe or download anything. It comes complete with 14,000 preloaded golf courses and when put in golf mode, it will tell you the courses close to where you are.